Last tracking season Hunter and I had some trouble finishing tracks because he would get off the deer we were looking for and take up the trail of a fresher, healthy deer track. I believe that this was because of an error, on my part, with our training last summer. Last summer Hunter was 1 ½ years old and was doing great on blood trails aged 24hrs plus. Since he seemed to nail, every training track I put out, I decided to try to get him going on interdigital scent. For the last half of the summer he trained on nothing but interdigital and was doing very well, but as we all know, a training track is not the same as the real thing. 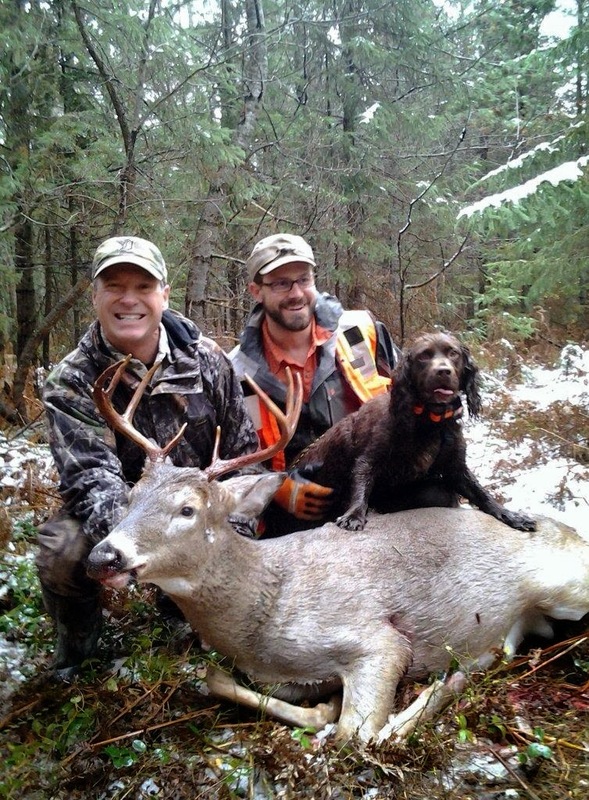 When the 2012 tracking season started I was excited to get him out in the woods and on a real deer. 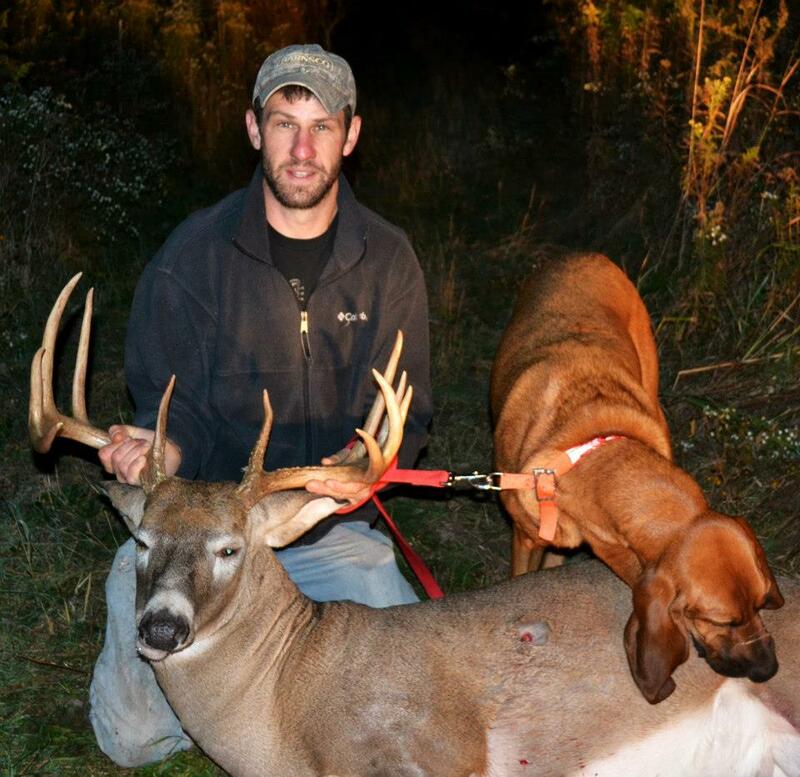 Early October was our first call and our first find, which was a gut shot doe. No visible blood for several hundred yards, tracked right up to it bedded along a river. It was after that that we started running into trouble. For the next 6 tracks we would get going and when Hunter started having to really work the blood trail he would often leave the blood trail for a fresh cross trail. It’s hard to know for sure when this happens but we were tracking up to a lot of bedded deer and did not find many deer for clients again until toward the end of the season. 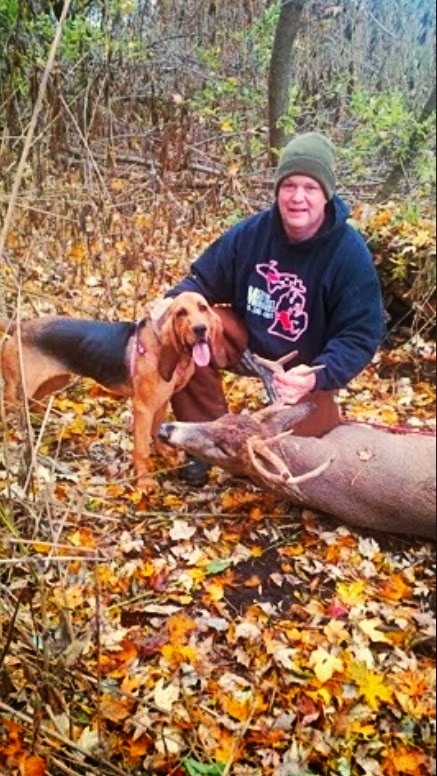 At Michigan Deer Track’n Hounds we are always training our dogs to be the best that they can be for our clients. Hunter and I have been doing one training track a week this winter and will continue until it gets too hot in the summer. I have been laying out blood trails using a small amount of diluted blood (approx. 1oz every 400 yards). Our training tracks have been in and around food plots that I have on my property which have a high deer density this time of year. After being aged for 24 hours the training tracks have many fresh cross trails and are quite contaminated with fresh deer scent. 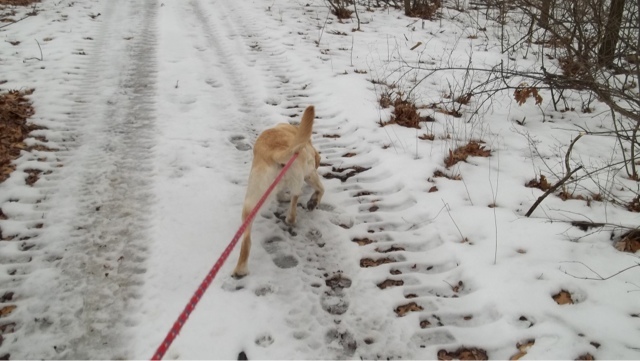 This training plan seems to be working and Hunter is less distracted by fresh scent. By running known training tracks thru high deer density areas you can immediately tell when you dog starts to follow the fresher trail. 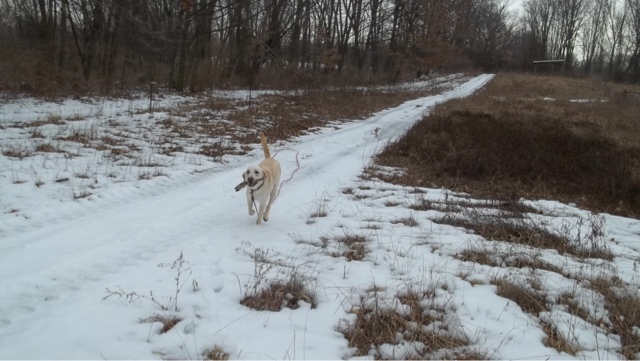 Attached are two pictures, the first is Hunter working a training track along one of the food plot access trails and the second is at the end of the track when he is playing with his reward.